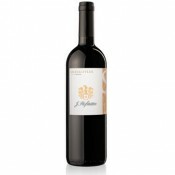 This wine is obtained by a careful selection of Lagrein grapes, an autochthonous vineyard of Alto Adige. Some of the grapes are left intact and only 35% are separated from the grape stalks before putting them in the barrels. After a brief period of maceration, the must is left to ferment for 10 days at a temperature of 28° C. During the fermentation it remains in constant contact with the skin. 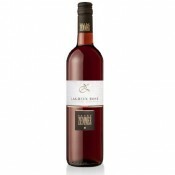 It matures for 10 months in oak barrels of Slovenia and for another 6 months in the bottle. The brilliant ruby red color of Lagrein is extremely typical and easily recognizable. It's striking for its excellent balance of intensity and the complexity of the spicy fragrance of wild berries and viola as well as for the immediate fragrance, which is fresh and appealing. 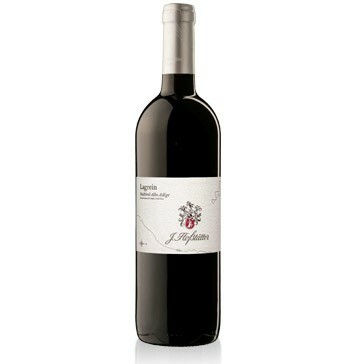 It has a harmonious feeling when in the mouth and a good substance of tannin, it is also warm, long, persistent and with a round and velvety texture. 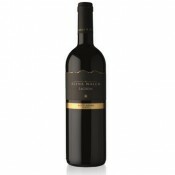 This red wine has a slightly spicy aftertaste and a very balanced acidity to it. It is vivacious and pleasing. For a century, the name Hofstatter has been associated by connoisseurs with a producer of excellent wines in Alto Adige. It was Josef Hofstatter who laid the foundations on which the company has been built. He was actually a blacksmith, but he also produced home-made wine for his wife, Maria. Producing home-made wine was, in fact, quite common at the time. His love of wine came from these origins. It was not long before he abandoned his profession to dedicate himself with passion, talent and common sense to wine-making. And so, before long Josef Hofstatter wines became famous in Italy and abroad with a client base that gets larger year by year. After the death of Josef in 1942, the company passed on to his descendant Konrad Oberhofer and his wife, Luise. Konrad Oberhofer was perfectly aware of the potential of the family's vines. He was one of the first in Alto Adige to begin harvesting and making-wine separately, vine by vine, and to put these wines on the market, not as an anonymous product, but as wine with different denominations (the "Crus"). In 1959 Konrad's daughter, Sieglinde, married the wine-maker Paolo Foradori, whose family had been successfully dedicated to wine-making at Mazon near Egna for decades. With this marriage the best vineyards in Bassa Atesina were united. Termeno and Mazon therefore became the foundations on which, today more than ever, the company and the family stand. Management of the vineyards and the cellars has now been passed on to the fourth generation, Martin Foradori, whose young man's impulses and desire for innovation draw on nearly a century of experience. Game, red meat, fowl and mature cheese. Serve at 18° C in a transparent crystal glass. 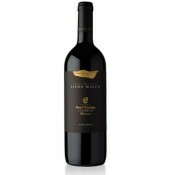 If conserved properly it may last on average from 5-6 years: the bottle should be conserved in a cool and dark cellar.